These questions about your customer responses are more complicated, some require a contextual understanding of your customers, others require you to dig more in depth into your data. Some questions may not have accurate answers. What could have made my score rise or drop? 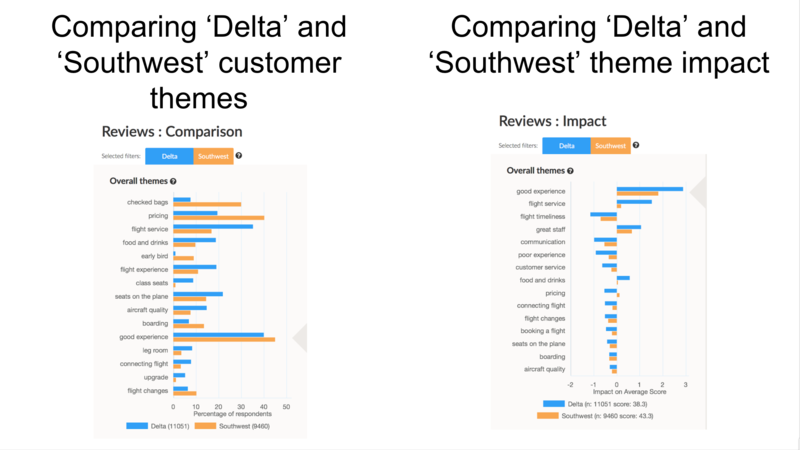 Produces two graphs that compare the biggest differences in theme frequency and impact in two selected time periods to help you identify what your customers mentioned more or less, and what actually affected their score of you. What are the biggest differences in two different customer segments? 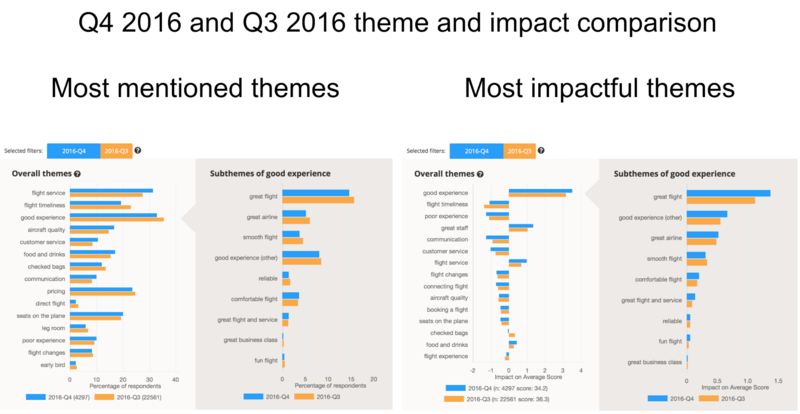 Produces two graphs, the first graph shows the biggest difference in theme mentions by both customer segments, the second graph shows the biggest difference in theme impact in both customer segments. What are the biggest pain points for my customers? 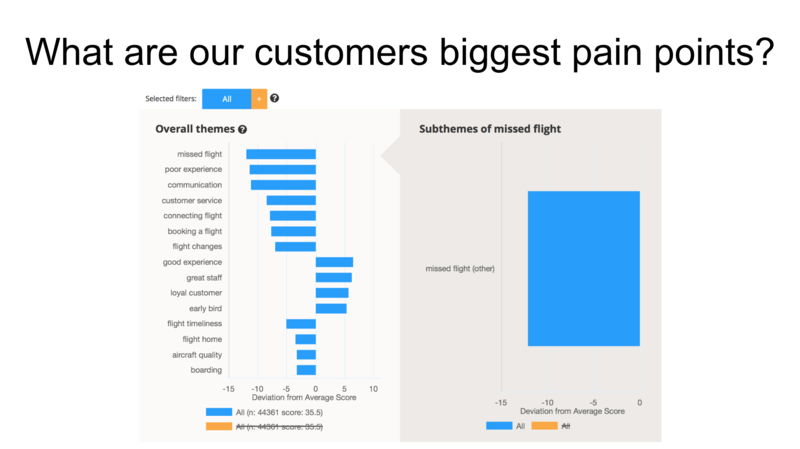 Produces a graph that shows the biggest pain and pleasure points for all your customers or a selected segment.